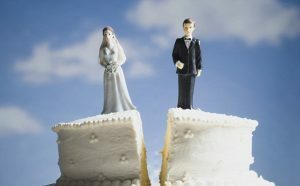 Solicitors advice before online divorce could save a lot of trouble according to Cheshire family law solicitors Stonehewer Moss as weekend newspaper reports highlight the government has today launched an on line divorce service that may give rise to many divorces naming another person in adultery cases. The reason Solicitors advice before online divorce may pay off is that the divorce petition often raises the hackles of your ex anyway without giving star billing you suspect is TOW, the other woman. The petition has standard applications for financial orders printed upon it and no doubt the on line version also puts the fear of god into the recipient with financial applications mentioned. Solicitors have long carried out the practice of not naming the other person in adultery cases as it just increases the emotional heat and introduces a third person to your divorce, increasing cost and decreasing the chances of an amicable divorce settlement. Because the divorce itself does not trigger the court process to resolve financial issues by requiring steps to be taken, you could be forgiven for thinking mentioning finances on the divorce at all is just a nuisance; solicitors always expect the first words from a respondent about the petition to be along the lines,”She trying to take everything off me.” Read Othello on line if you want marital drama but arrange to see a sensible divorce solicitor face to face for at least advice before you create your own tragedy on line, at least for the benefit of your family. Solicitors advice before online divorce saves embarrassment cost and unnecessary stress. This article was added on Monday, August 14th, 2017 at 11:32 am and is categorised under Cheshire divorce solicitor, Cheshire News, Divorce, divorce finances, Family Law, Hartford divorce, Macclesfield News, northwich solicitors, Runcorn News, Warrington News, Widnes News, Winsford News. Both comments and pings are currently closed. Error: Error validating access token: Session has expired on Saturday, 09-Mar-19 13:12:58 PST. The current time is Wednesday, 24-Apr-19 19:57:25 PDT.